Residency Notes » Blog Archive » Why Does Nothing Ever Come Of These Everyday Miracle Compounds? Why Does Nothing Ever Come Of These Everyday Miracle Compounds? 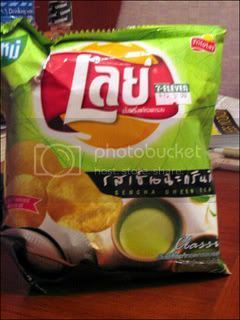 So How Many Of These Green Tea Potato Chips Do I Need To Eat? Green tea is apparently already tied to protecting your heart, slowing the progression of Alzheimer’s, and potentially can fight the development of cancer. [C]hemicals in the tea also shut down a key molecule which can play a significant role in the development of cancer. The molecule, known as the aryl hydrocarbon (AH) receptor, has the ability to activate genes – but not always in a positive way. Now however, playing into the post below about HIV prevention, a compound in green tea may block the virus’ entrance into CD4+ lymphocytes. Once EGCG has bound to immune system cells there is no room for HIV to take hold in its usual fashion. However, experts said the joint UK and US work, which appears in the Journal of Allergy and Clinical Immunology, was at a very preliminary stage. Researcher Professor Mike Williamson, of the University of Sheffield, said: “Our research shows that drinking green tea could reduce the risk of becoming infected by HIV, and could also slow down the spread of HIV. “It is not a cure, and nor is it a safe way to avoid infection, however, we suggest that it should be used in combination with conventional medicines to improve quality of life for those infected. My question is what sort of funding is even available for this?! I understand looking for potentially useful compounds amongst the everyday but this is being presented as having realistic utility as some sort of public health campaign.